STANDUP WOMAN Netflix's 'Nanette' transcends comedy into something greater. 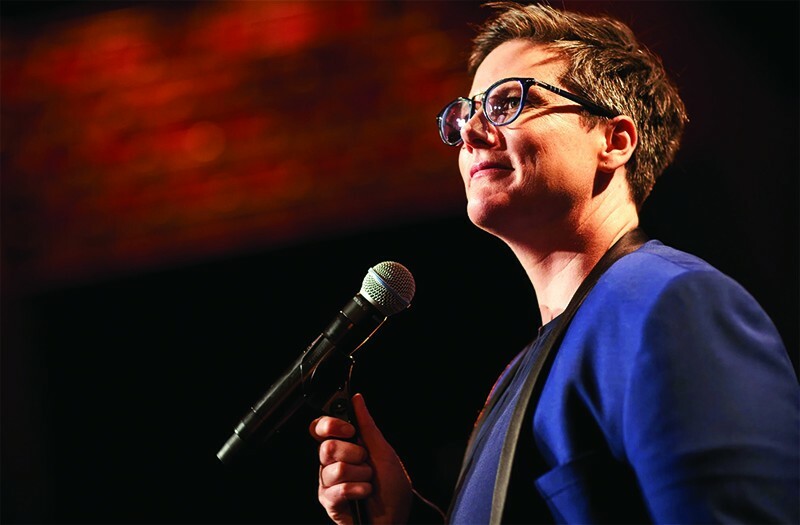 The surprise in monologist Hannah Gadsby's comedy, as seen in the remarkable Netflix special Nanette, commences with her arrival. Gadsby is a plump, dimpled, bespectacled figure originally from the sticks in Tasmania. She looks small on the bare stage of the Sydney Opera House. Gadsby's delivery is what they used to call "button-down comedy"—laid-back, gentle. She makes one think of Bob Newhart, actually. The jokes are friendly and unthreatening. At first. As a gay woman—"a little bit lesbian," she says—she claims to be too reticent for pride parades; she'd rather be home with her tea kettle. And as an art history major, she's not keen on the way the colors on the rainbow flag clash. We settle in for her modest, keenly dry observations, and that's how the audience steps into Gadsby's trap. When the tables turn, it's stunning. Gadsby seems to be joshing when she says she's quitting comedy, that it's just something else she's amusingly griping about. In fact, she's opposed to something deeper and more wrong in the format: the problem of a story only being funny if you end it before telling the full truth. Her pain is rooted in growing up gay on a small island where laws against homosexuality were on the books well into the 1990s. And as Gadsby gets into the heart of the matter—her disenchantment with Picasso because of his misogyny, her outrage that van Gogh is thought to succeed because of his mental illness instead of despite it—she gets forceful. The camera closes in on her, and the jokes evaporate. What's left is a fury for justice. Standup comedy is one of the burners underneath the melting pot of liberal democracies, a way for the underrepresented to make themselves "normal" and disarming. Arrestingly, Gadsby goes against the process, refusing to process her own rage as a series of jokes. Nanette isn't for someone who wants to laugh a lung out, and yet it's something everyone should see. 'Nanette' is available for streaming from Netflix.